How to find your True Skin Type? Know your Skin Type now! As it is with everything else, knowing the condition of the different parts of your body is the first step in caring for it. Skin is no different. Knowing your skin type is the beginning of giving your skin the proper treatment to maintain good skin tone and condition. Your skin type is a general description of how your skin feels and behaves. The most common types used for commercial products are normal, oily, dry and combination skin. Other categories include blemish-prone, sensitive and sun-damaged skin. Convenient as these skin type categories are in choosing products, it is not exactly the best way to know and understand your skin on a level that will really help it. This is perhaps the reason why, even though the “right” products have been used for your designated skin type, you still experience either dryness, oiliness, acne and other problems. Why is this so? First of all, you have to remember, like any part of your body, you skin is never the same all throughout. It goes through all sorts of conditions depending on several factors, some of which include your genes, your lifestyle and habits. Add to this the fact that the problems you are experiencing may not be simply the result of lack of care. There are cases when skin diseases are the reasons. So from here on end, it will be good for you to forget what beauty magazines, cosmetic salespeople, and aestheticians tell you about the four skin types. It”s about time you go beneath the surface and really know what your skin is about. First off, know the factors that Influence your skin type. This can get tricky since almost everything can influence your skin and the condition it”s in. Just looking and feeling your face is not enough to determine your skin type. To get an effective evaluation of your skin, consider the following. The first set of factors affecting your skin are those within your own body. Hormonal changes brought on by your body”s development influence your skin to a huge extent. For women, the menstrual cycle can cause drastic changes on the skin. The same goes for periods of pregnancy and menopause. Men are also subject to these influences, especially in the puberty stage as hormones causes the body to develop. Your genes also influence the propensity to acquire a certain skin condition that is characteristic of your parents’ own skin types. However, as their skin is also influenced by different factors, your skin and theirs may not necessarily be the same. Lifestyles and habits also affect your skin and while these may seem external to your body, the way you conduct daily activities such as diet, exercise, smoking and drinking habits influence your body and therefore your skin as well. Other influences affecting your skin lie outside your body such as weather and climate as well as your skin-care regimen of choice. The climates of areas you spend prolonged periods in influence how your body reacts. Cold climates tend to cause dry skin and flaking where as humid areas cause excessive sweating and oil production. The skin care products you choose also affect your skin condition. Using creams or moisturizers that have too much emollients will cause your skin to be oily whereas strong cleansers and exfoliates result in dry, sensitive skin. Now that you know what influences your skin, it is time to know what condition it is in. First of all, don”t evaluate your skin right after you”ve washed your face. This is because your skin is reacting to the water and cleansers you”ve put on it. Wait four to five hours after you”ve washed. This will give your skin time to recover from the cleansing and allow it to resume its “normal” activity. Also try to do this on a day you had not worn any makeup or put on creams so a more accurate evaluation can be made. If the general area of your face appears dry, feels tight and can see patches of skin flakes, then you are dealing with dry skin. On the other hand, if you observe that some areas are both dry and oily then you have combination skin. 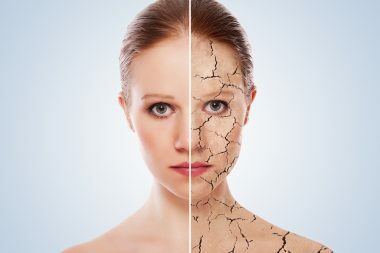 Now that you know the degree of oiliness or dryness your skin has right now, you need to know whether or not your skin is suffering from some form of skin disease. 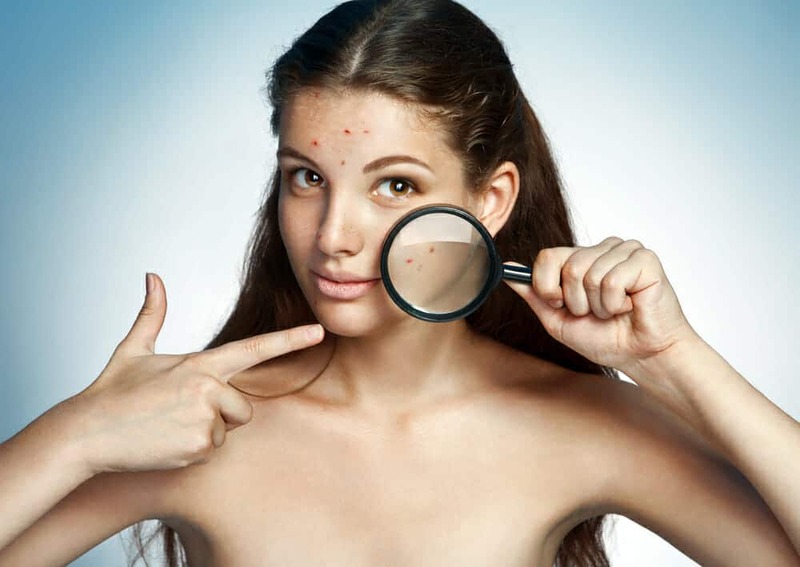 Are there areas of redness around your nose and cheeks with red bumps and blemishes but aren”t pimples? Do you see fine lines of capillaries on the surface that are sensitive to the touch? If yes, you may have rosacea. Patches of irritated, dry, red to white scaly and crusty skin around the hairline, nose, eyes and cheeks may be caused by a skin disorder called psoriasis. In both cases you will need to consult with a dermatologist. With these evaluations, you develop a more effective skin care routine that will help maintain your skin’s health. But remember that your skin type won”t remain constant for long even with the right choice and use of products. As your own body undergoes development, your skin type will change as well. It is recommended that you perform this simple assessment every 4 to 6 months. But while there is a down side to this condition, there exists a good one as well. Skin with active oil glands tends to be less likely to show wrinkles and other signs of aging compared to other skin types. This is because the oil keeps more moisture in the skin making it more supple and elastic, therefore there is less wrinkling. So while you may fret and moan about your skin”s oiliness, it may be a blessing in disguise 10 to 15 years from now if proper care is given today. Weather can be one of your skin”s worst enemies, especially during the winter season. 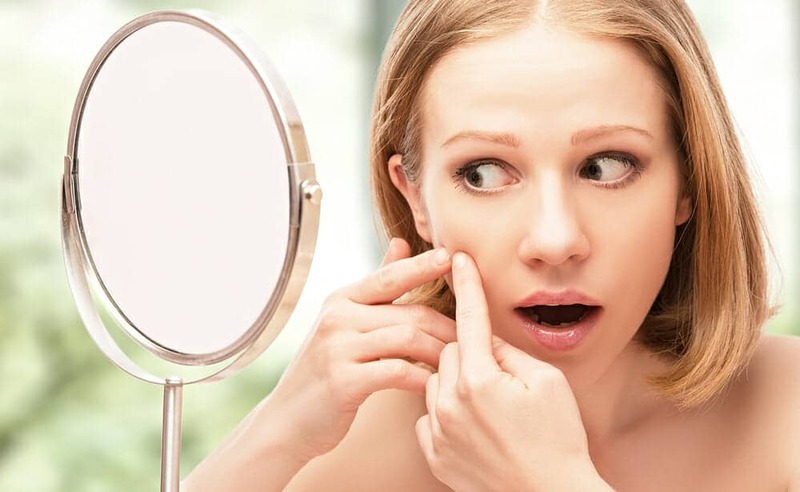 As we go through this dilemma, we should remember that there are numerous factors aside from the one mentioned above which put your skin to the normal condition of wear and tear. 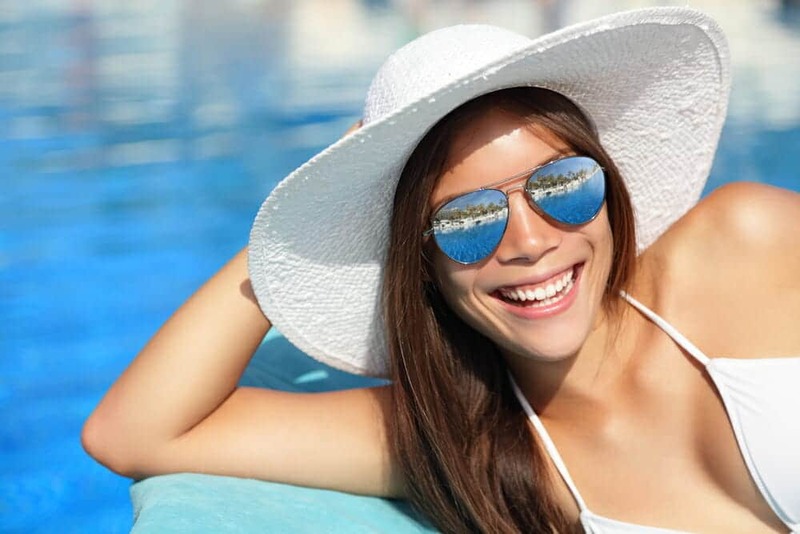 In order to avoid the many activities that jeopardize your skin”s health, it is important to identify the many factors which results to the unwanted condition. · Avoid Using Soaps with Harsh Ingredients – Regular soaps such as anti-bacterial and deodorant soaps, which are non-moisturizing, dehydrate the skin and rob your integument with essential oils which locks moisture from your body. Products containing alcohols also dissolve skin lipids and cause the skin”s moisture to evaporate resulting to skin dryness. Water and oil-based products are perfect for your skin. Use Dove, Olay and other soap substitutes available at your local drugstore. · Washing with Hot Water – Although water is an effective moisturizing agent, it also strips your skin with valuable oils or lipids which are responsible for retaining moisture from your skin. Frequent bathing, especially with hot water, removes valuable oils and exposes your skin to infections by destroying your body”s first main line of defense. · Frequent Washing – Frequent washing and bathing, usually more than once a day depletes your body with moisture and natural oils. Also, limit your bathing time within 15 minutes. · Weather – Winter is one major factor in the development of a dry skin. The use of humidifier, in most cases, solves the problem of the effect of the climate. It compensates for the insufficient humidity needed for the preservation of skin moisture. This is because cold air cannot afford to hold adequate amount of water to serve skin”s moisture demands. Warm air on the other hand holds enough humidity to keep the skin moisturized at a certain level. · Patients under medication – People taking diuretic drugs remove water from a patient”s body because the kidney will less likely reabsorb the water filtered through it. In this case, frequent intake of water is needed. · Genetic Disease – People afflicted with a rare genetic disease called ichthyosis are likely to develop dry skin. This genetic disease has no cure and the goal of treatment is to secure the symptoms that manifest along the way. One way to maintain that youthful glow is to subscribe to a skin treatment regimen that will help your skin restore moisture when it”s needed. · Alpha hydroxyacid lotions are best for dry skin. Oil-based are more effective than water based lotions for they “lock-in” the moisture stored in the skin. · Effective moisturizers are dependent on your immediate and long-term needs. If you want to relieve itching caused by dry skin, ordinary moisturizers will serve your purpose. · Barrier creams are effective for people who are in a habit of washing their hands frequently. For individuals with advanced dry skin condition (pruritus), anti-pruritic agents such as oatmeal and tar-based pine oil are beneficial. · Balanced-diet and exercise cause your skin to produce more oil and maintain a relative amount of oil that keeps moisture in your skin. Drinking plenty of water is also important. Like most traits, oily skin can be traced to parents and are inherited. Diet and weather also induces one”s skin to become oily.